As some of you may know, I contribute sewing DIYs to an awesome website called Seams and Scissors! 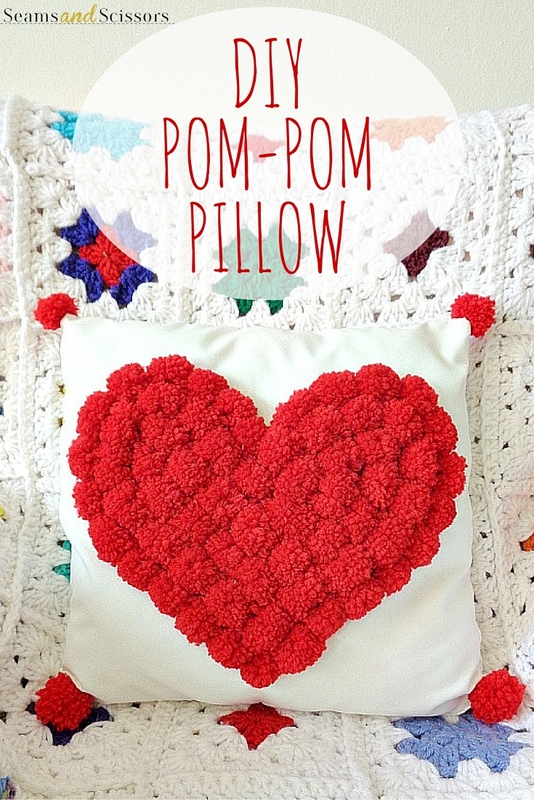 Well, this month I contributed a fun Pom-Pom Heart Pillow DIY (try saying that five times fast) for Valentine's Day! This pillow is super easy to make and requires 0 crafty skills! In the tutorial, I will show you how to make the pillow from scratch and show you how to create the pom-pom heart. If want to learn how to make your own Pom-Pom Heart Pillow, then stop on by Seams and Scissors and check it out. I'm on Xyron's 2016 Design Team!! !